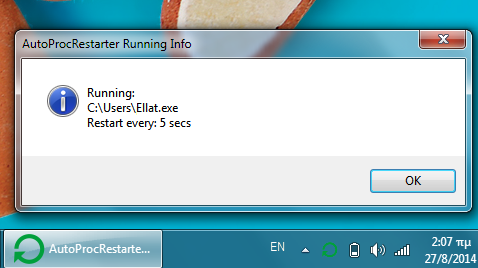 A system tray utility for running and restarting programs, after the selected time. – By right click on the system tray icon, you can select the program to run and and the time (in seconds), you want to restart it. 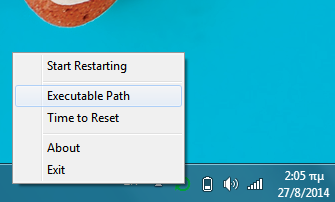 Also, you can pause the and unpause the restarting process. 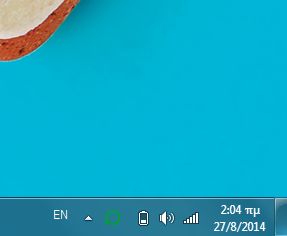 – With double click on the system tray icon, you can see info about the selected program and the specified time. 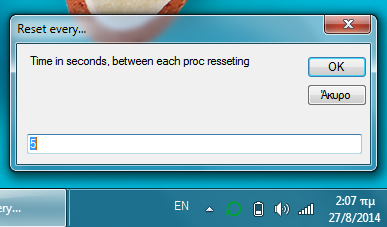 – When the selected program, closed by the user, AutoProcRestarter interup its function, until the user select from the right click pop-up menu to start the process again. 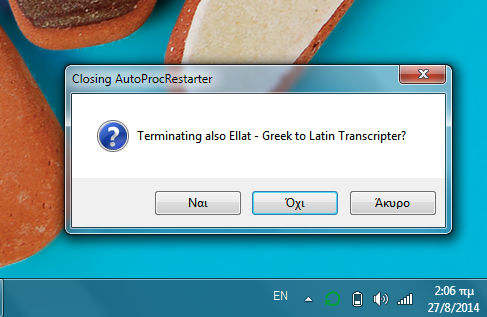 – When user select to terminate the AutoProcRestarter, the utility ask him to close the specified (auto-restarting) process. This program is free software distributed under the GNU GPL 3, for license details see at ‘license.txt’ file, distributed with this program, or see at http://www.gnu.org/licenses/.